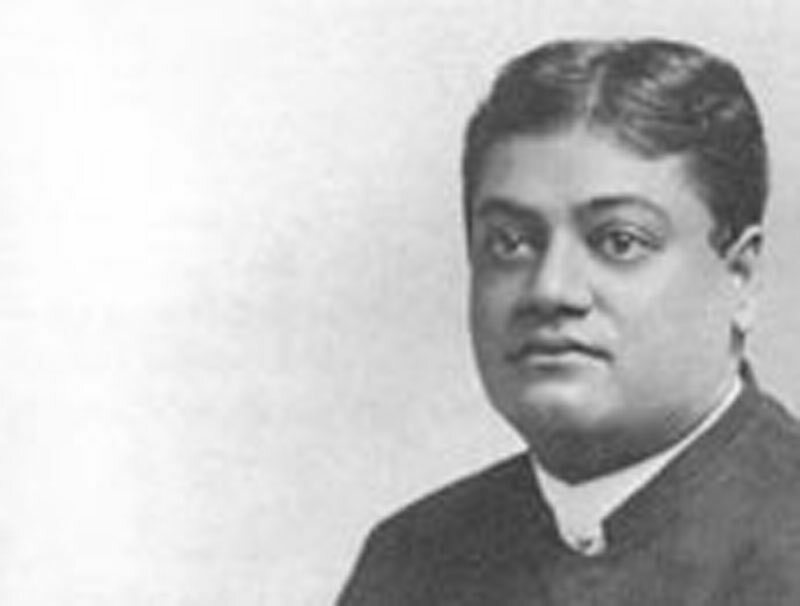 Raja Yoga: by Swami Vivekananda - Frank Parlato Jr.
Pranayama is not, as many think, something about breath; breath indeed has very little to do with it, if anything. Breathing is only one of the many exercises through which we get to the real Pranayama. Pranayama means the control of Prana. According to the philosophers of India, the whole universe is composed of two materials, one of which they call Akasha. It is the omnipresent, all-penetrating existence. Everything that has form, everything that is the result of combination, is evolved out of this Akasha. It is the Akasha that becomes the air, that becomes the liquids, that becomes the solids; it is the Akasha that becomes the sun, the earth, the moon, the stars, the comets; it is the Akasha that becomes the human body, the animal body, the plants, every form that we see, everything that can be sensed, everything that exists. It cannot be perceived; it is so subtle that it is beyond all ordinary perception; it can only be seen when it has become gross, has taken form. At the beginning of creation there is only this Akasha. At the end of the cycle the solids, the liquids, and the gases all melt into the Akasha again, and the next creation similarly proceeds out of this Akasha. By what power is this Akasha manufactured into this universe? By the power of Prana. Just as Akasha is the infinite, omnipresent material of this universe, so is this Prana the infinite, omnipresent manifesting power of this universe. At the beginning and at the end of a cycle everything becomes Akasha, and all the forces that are in the universe resolve back into the Prana; in the next cycle, out of this Prana is evolved everything that we call energy, everything that we call force. It is the Prana that is manifesting as motion; it is the Prana that is manifesting as gravitation, as magnetism. It is the Prana that is manifesting as the actions of the body, as the nerve currents, as thought force. From thought down to the lowest force, everything is but the manifestation of Prana. The sum total of all forces in the universe, mental or physical, when resolved back to their original state, is called Prana. "When there was neither aught nor naught, when darkness was covering darkness, what existed them? That Akasha existed without motion." The physical motion of the Prana was stopped, but it existed all the same. At the end of a cycle the energies now displayed in the universe quiet down and become potential. At the beginning of the next cycle they start up, strike upon the Akasha, and out of the Akasha evolve these various forms, and as the Akasha changes, this Prana changes also into all these manifestations of energy. The knowledge and control of this Prana is really what is meant by Pranayama. This opens to us the door to almost unlimited power. Suppose, for instance, a man understood the Prana perfectly, and could control it, what power on earth would not be his? He would be able to move the sun and stars out of their places, to control everything in the universe, from the atoms to the biggest suns, because he would control the Prana. This is the end and aim of Pranayama. When the Yogi becomes perfect, there will be nothing in nature not under his control. If he orders the gods or the souls of the departed to come, they will come at his bidding. All the forces of nature will obey him as slaves. When the ignorant see these powers of the Yogi, they call them the miracles. One peculiarity of the Hindu mind is that it always inquires for the last possible generalisation, leaving the details to be worked out afterwards. The question is raised in the Vedas, "What is that, knowing which, we shall know everything?" Thus, all books, and all philosophies that have been written, have been only to prove that by knowing which everything is known. If a man wants to know this universe bit by bit he must know every individual grain of sand, which means infinite time; he cannot know all of them. Then how can knowledge be? How is it possible for a man to be all-knowing through particulars? The Yogis say that behind this particular manifestation there is a generalisation. Behind all particular ideas stands a generalised, an abstract principle; grasp it, and you have grasped everything. Just as this whole universe has been generalised in the Vedas into that One Absolute Existence, and he who has grasped that Existence has grasped the whole universe, so all forces have been generalised into this Prana, and he who has grasped the Prana has grasped all the forces of the universe, mental or physical. He who has controlled the Prana has controlled his own mind, and all the minds that exist. He who has controlled the Prana has controlled his body, and all the bodies that exist, because the Prana is the generalised manifestation of force. How to control the Prana is the one idea of Pranayama. All the trainings and exercises in this regard are for that one end. Each man must begin where he stands, must learn how to control the things that are nearest to him. This body is very near to us, nearer than anything in the external universe, and this mind is the nearest of all. The Prana which is working this mind and body is the nearest to us of all the Prana in this universe. This little wave of the Prana which represents our own energies, mental and physical, is the nearest to us of all the waves of the infinite ocean of Prana. If we can succeed in controlling that little wave, then alone we can hope to control the whole of Prana. The Yogi who has done this gains perfection; no longer is he under any power. He becomes almost almighty, almost all-knowing. We see sects in every country who have attempted this control of Prana. In this country there are Mind-healers, Faith-healers, Spiritualists, Christian Scientists, Hypnotists, etc., and if we examine these different bodies, we shall find at the back of each this control of the Prana, whether they know it or not. If you boil all their theories down, the residuum will be that. It is the one and the same force they are manipulating, only unknowingly. They have stumbled on the discovery of a force and are using it unconsciously without knowing its nature, but it is the same as the Yogi uses, and which comes from Prana. The Prana is the vital force in every being. Thought is the finest and highest action of Prana. Thought, again, as we see, is not all. There is also what we call instinct or unconscious thought, the lowest plane of action. If a mosquito stings us, our hand will strike it automatically, instinctively. This is one expression of thought. All reflex actions of the body belong to this plane of thought. There is again the other plane of thought, the conscious. I reason, I judge, I think, I see the pros and cons of certain things, yet that is not all. We know that reason is limited. Reason can go only to a certain extent, beyond that it cannot reach. The circle within which it runs is very very limited indeed. Yet at the same time, we find facts rush into this circle. Like the coming of comets certain things come into this circle; it is certain they come from outside the limit, although our reason cannot go beyond. The causes of the phenomena intruding themselves in this small limit are outside of this limit. The mind can exist on a still higher plane, the superconscious. When the mind has attained to that state, which is called Samadhi--perfect concentration, superconsciousness--it goes beyond the limits of reason, and comes face to face with facts which no instinct or reason can ever know. All manipulations of the subtle forces of the body, the different manifestations of Prana, if trained, give a push to the mind, help it to go up higher, and become superconscious, from where it acts. In this universe there is one continuous substance on every plane of existence. Physically this universe is one: there is no difference between the sun and you. The scientist will tell you it is only a fiction to say the contrary. There is no real difference between the table and me; the table is one point in the mass of matter, and I another point. Each form represents, as it were, one whirlpool in the infinite ocean of matter, of which not one is constant. Just as in a rushing stream there may be millions of whirlpools, the water in each of which is different every moment, turning round and round for a few seconds, and then passing out, replaced by a fresh quantity, so the whole universe is one constantly changing mass of matter, in which all forms of existence are so many whirlpools. A mass of matter enters into one whirlpool, say a human body, stays there for a period, becomes changed, and goes out into another, say an animal body this time, from which again after a few years, it enters into another whirlpool, called a lump of mineral. It is a constant change. Not one body is constant. There is no such thing as my body, or your body, except in words. Of the one huge mass of matter, one point is called a moon, another a sun, another a man, another the earth, another a plant, another a mineral. Not one is constant, but everything is changing, matter eternally concreting and disintegrating. So it is with the mind. Matter is represented by the ether; when the action of Prana is most subtle, this very ether, in the finer state of vibration, will represent the mind, and there it will be still one unbroken mass. If you can simply get to that subtle vibration, you will see and feel that the whole universe is composed of subtle vibrations. Sometimes certain drugs have the power to take us, while as yet in the senses, to that condition. Many of you may remember the celebrated experiment of Sir Humphrey Davy, when the laughing gas overpowered him--how, during the lecture, he remained motionless, stupefied and, after that, he said that the whole universe was made up of ideas. For the time being, as it were, the gross vibrations had ceased, and only the subtle vibrations which he called ideas, were present to him. He could only see the subtle vibrations round him; everything had become thought; the whole universe was an ocean of thought, he and everyone else had become little thought whirlpools. Thus, even in the universe of thought we find unity, and at last, when we get to the Self, we know that that Self can only be One. Beyond the vibrations of matter in its gross and subtle aspects, beyond motion there is but One. Even in manifested motion there is only unity. These facts can no more be denied. Modern physics also has demonstrated that the sum total of the energies in the universe is the same throughout. It has also been proved that this sum total of energy exists in two forms. It becomes potential, toned down, and calmed, and next it comes out manifested as all these various forces; again it goes back to the quiet state, and again it manifests. Thus it goes on evolving and involving through eternity. The control of this Prana, as before stated, is what is called Pranayama. The most obvious manifestation of this Prana in the human body is the motion of the lungs. If that stops, as a rule all the other manifestations of force in the body will immediately stop. But there are persons who can train themselves in such a manner that the body will live on, even when this motion has stopped. There are some persons who can bury themselves for days, and yet live without breathing. To reach the subtle we must take the help of the grosser, and so, slowly travel towards the most subtle until we gain our point. Pranayama really means controlling this motion of the lungs, and this motion is associated with the breath. Not that breath is producing it; on the contrary it is producing breath. This motion draws in the air by pump action. The Prana is moving the lungs, the movement of the lungs draws in the air. So Pranayama is not breathing, but controlling that muscular power which moves the lungs. That muscular power which goes out through the nerves to the muscles and from them to the lungs, making them move in a certain manner, is the Prana, which we have to control in the practice of Pranayama. When the Prana has become controlled, then we shall immediately find that all the other actions of the Prana in the body will slowly come under control. I myself have seen men who have controlled almost every muscle of the body; and why not? If I have control over certain muscles, why not over every muscle and nerve of the body? What impossibility is there? At present the control is lost, and the motion has become automatic. We cannot move our ears at will, but we know that animals can. We have not that power because we do not exercise it. This is what is called atavism. Again, we know that motion which has become latent can be brought back to manifestation. By hard work and practice certain motions of the body which are most dormant can be brought back under perfect control. Reasoning thus we find there is no impossibility, but, on the other hand, every probability that each part of the body can be brought under perfect control. This the Yogi does through Pranayama. Perhaps some of you have read that in Pranayama, when drawing in the breath, you must fill your whole body with Prana. In the English translations Prana is given as breath, and you are inclined to ask how that is to be done. The fault is with the translator. Every part of the body can be filled with Prana, this vital force, and when you are able to do that, you can control the whole body. All the sickness and misery felt in the body will be perfectly controlled; not only so, you will be able to control another's body. Everything is infectious in this world, good or bad. If your body be in a certain state of tension, it will have a tendency to produce the same tension in others. If you are strong and healthy, those that live near you will also have the tendency to become strong and healthy, but if you are sick and weak, those around you will have the tendency to become the same. In the case of one man trying to heal another, the first idea is simply transferring his own health to the other. This is the primitive sort of healing. Consciously or unconsciously, health can be transmitted. A very strong man, living with a weak man, will make him a little stronger, whether he knows it or not. When consciously done, it becomes quicker and better in its action. Next come those cases in which a man may not be very healthy himself, yet we know that he can bring health to another. The first man, in such a case, has a little more control over the Prana, and can rouse, for the time being, his Prana, as it were, to a certain state of vibration, and transmit it to another person. There have been cases where this process has been carried on at a distance, but in reality there is no distance in the sense of a break. Where is the distance that has a break? Is there any break between you and the sun? It is a continuous mass of matter, the sun being one part, and you another. Is there a break between one part of a river and another? Then why cannot any force travel? There is no reason against it. Cases of healing from a distance are perfectly true. The Prana can be transmitted to a very great distance; but to one genuine case, there are hundreds of frauds. This process of healing is not so easy as it is thought to be. In the most ordinary cases of such healing you will find that the healers simply take advantage of the naturally healthy state of the human body. An allopath comes and treats cholera patients, and gives them his medicines. The homoeopath comes and gives his medicines, and cures perhaps more than the allopath does, because the homoeopath does not disturb his patients, but allows nature to deal with them. The Faith-healer cures more still, because he brings the strength of his mind to bear, and rouses, through faith, the dormant Prana of the patient. There is a mistake constantly made by Faith-healers: they think that faith directly heals a man. But faith alone does not cover all the ground. There are diseases where the worst symptoms are that the patient never thinks that he has that disease. That tremendous faith of the patient is itself one symptom of the disease, and usually indicates that he will die quickly. In such cases the principle that faith cures does not apply. If it were faith alone that cured, these patients also would be cured. It is by the Prana that real curing comes. The pure man, who has controlled the Prana, has the power of bringing it into a certain state of vibration, which can be conveyed to others, arousing in them a similar vibration. You see that in everyday actions. I am talking to you. What am I trying to do? I am, so to say, bringing my mind to a certain state of vibration, and the more I succeed in bringing it to that state, the more you will be affected by what I say. All of you know that the day I am more enthusiastic, the more you enjoy the lecture; and when I am less enthusiastic, you feel lack of interest. The gigantic will-powers of the world, the world-movers, can bring their Prana into a high state of vibration, and it is so great and powerful that it catches others in a moment, and thousands are drawn towards them, and half the world think as they do. Great prophets of the world had the most wonderful control of the Prana, which gave them tremendous will-power; they had brought their Prana to the highest state of motion, and this is what gave them power to sway the world. All manifestations of power arise from this control. Men may not know the secret, but this is the one explanation. Sometimes in your own body the supply of Prana gravitates more or less to one part; the balance is disturbed, and when the balance of Prana is disturbed, what we call disease is produced. To take away the superfluous Prana, or to supply the Prana that is wanting, will be curing the disease. That again is Pranayama--to learn when there is more or less Prana in one part of the body than there should be. The feelings will become so subtle that the mind will feel that there is less Prana in the toe or the finger than there should be, and will possess the power to supply it. These are among the various functions of Pranayama. They have to be learned slowly and gradually, and as you see, the whole scope of Raja-Yoga is really to teach the control and direction in different planes of the Prana. When a man has concentrated his energies, he masters the Prana that is in his body. When a man is meditating, he is also concentrating the Prana. In an ocean there are huge waves, like mountains, then smaller waves, and still smaller, down to little bubbles, but back of all these is the infinite ocean. The bubble is connected with the infinite ocean at one end, and the huge wave at the other end. So, one may be a gigantic man, and another a little bubble, but each is connected with that infinite ocean of energy, which is the common birthright of every animal that exists. Wherever there is life, the storehouse of infinite energy is behind it. Starting as some fungus, some very minute, microscopic bubble, and all the time drawing from that infinite storehouse of energy, a form is changed slowly and steadily until in course of time it becomes a plant, then an animal, then man, ultimately God. This is attained through millions of aeons, but what is time? An increase of speed, an increase of struggle, is able to bridge the gulf of time. That which naturally takes a long time to accomplish can be shortened by the intensity of the action, says the Yogi. A man may go on slowly drawing in this energy from the infinite mass that exists in the universe, and, perhaps, he will require a hundred thousand years to become a Deva, and then, perhaps, five hundred thousand years to become still higher, and, perhaps, five millions of years to become perfect. Given rapid growth, the time will be lessened. Why is it not possible, with sufficient effort, to reach this very perfection in six months or six years? There is no limit. Reason shows that. If an engine, with a certain amount of coal, runs two miles an hour, it will run the distance in less time with a greater supply of coal. Similarly, why shall not the soul, by intensifying its action, attain perfection in this very life? All beings will at last attain to that goal, we know. But who cares to wait all these millions of aeons? Why not reach it immediately, in this body even, in this human form? Why shall I not get that infinite knowledge, infinite power, now? The ideal of the Yogi, the whole science of Yoga, is directed to the end of teaching men how, by intensifying the power of assimilation, to shorten the time for reaching perfection, instead of slowly advancing from point to point and waiting until the whole human race has become perfect. All the great prophets, saints, and seers of the world--what did they do? In one span of life they lived the whole life of humanity, traversed the whole length of time that it takes ordinary humanity to come to perfection. In one life they perfect themselves; they have no thought for anything else, never live a moment for any other idea, and thus the way is shortened for them. This is what is meant by concentration, intensifying the power of assimilation, thus shortening the time. Raja-Yoga is the science which teaches us how to gain the power of concentration. What has Pranayama to do with spiritualism? Spiritualism is also a manifestation of Pranayama. If it be true that the departed spirits exist, only we cannot see them, it is quite probable that there may be hundreds and millions of them about us we can neither see, feel, nor touch. We may be continually passing and repassing through their bodies, and they do not see or feel us. It is a circle within a circle, universe within universe. We have five senses, and we represent Prana in a certain state of vibration. All beings in the same state of vibration will see one another, but if there are beings who represent Prana in a higher state of vibration, they will not be seen. We may increase the intensity of a light until we cannot see it at all, but there may be beings with eyes so powerful that they can see such light. Again, if its vibrations are very low, we do not see a light, but there are animals that may see it, as cats and owls. Our range of vision is only one plane of the vibrations of this Prana. Take this atmosphere, for instance; it is piled up layer on layer, but the layers nearer to the earth are denser than those above, and as you go higher the atmosphere become finer and finer. Or take the case of the ocean; as you go deeper and deeper the pressure of the water increases, and animals which live at the bottom of the sea can never come up, or they will be broken into pieces. Think of the universe as an ocean of ether, consisting of layer after layer of varying degrees of vibration under the action of Prana; away from the centre the vibrations are less, nearer to it they become quicker and quicker; one order of vibration makes one plane. Then suppose these ranges of vibrations are cut into planes, so many millions of miles one set of vibration, and then so many millions of miles another still higher set of vibration, and so on. It is, therefore, probable, that those who live on the plane of a certain state of vibration will have the power of recognising one another, but will not recognise those above them. Yet, just as by the telescope and the microscope we can increase the scope of our vision, similarly we can by Yoga bring ourselves to the state of vibration of another plane, and thus enable ourselves to see what is going on there. Suppose this room is full of beings whom we do not see. They represent Prana in a certain state of vibration while we represent another. Suppose they represent a quick one, and we the opposite. Prana is the material of which they are composed, as well as we. All are parts of the same ocean of Prana, they differ only in their rate of vibration. If I can bring myself to the quick vibration, this plane will immediately change for me: I shall not see you any more; you vanish and they appear. Some of you, perhaps, know this to be true. All this bringing of the mind into a higher state of vibration is included in one word in Yoga--Samadhi. All these states of higher vibration, superconscious vibrations of the mind, are grouped in that one word, Samadhi, and the lower states of Samadhi give us visions of these beings. The highest grade of Samadhi is when we see the real thing, when we see the material out of which the whole of these grades of beings are composed, and that one lump of clay being known, we know all the clay in the universe. Thus we see that Pranayama includes all that is true of spiritualism even. Similarly, you will find that wherever any sect or body of people is trying to search out anything occult and mystical, or hidden, what they are doing is really this Yoga, this attempt to control the Prana. You will find that wherever there is any extraordinary display of power, it is the manifestation of this Prana. Even the physical sciences can be included in Pranayama. What moves the steam engine? Prana, acting through the steam. What are all these phenomena of electricity and so forth but Prana? What is physical science? The science of Pranayama, by external means. Prana, manifesting itself as mental power, can only be controlled by mental means. That part of Pranayama which attempts to control the physical manifestations of the Prana by physical means is called physical science, and that part which tries to control the manifestation of the Prana as mental force by mental means is called Raja-Yoga.